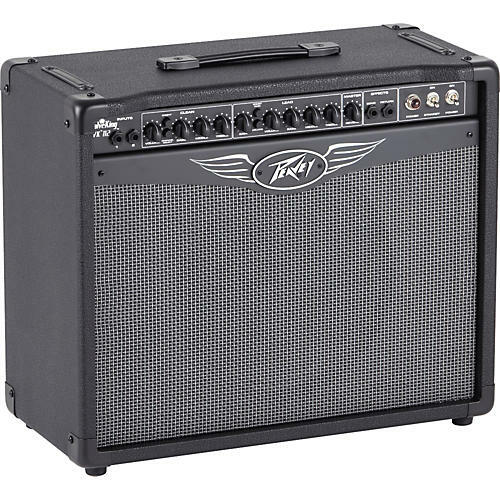 At the heart of the all-tube Peavey ValveKing 112 is a patent-pending, Class A/B Texture control that allows variable selection and combinations of Class A and Class AB power structures. The Texture knob lets you coax a wide range of tones out of this amplifier. It features 12AX7 preamp and 6L6GC power amp tubes; a specially voiced 12" ValveKing speaker; 2 footswitchable channels with independent 3-band EQ and volume; footswitchable boost on the lead channel; global reverb control; a buffered effects loop; and external speaker jack.